Think About Making Your Thai Date Happy. Think About Making Yourself Happy. Think About Taking Her To The Nearest Gym And Making Both Of You Happy With Fitness In Thailand. Are You Looking For A Place For Fitness In Thailand? 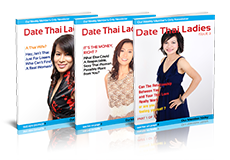 Women love a man who is in good shape and likes fitness in Thailand. Don’t get me wrong, Thai women are more focused on what’s in your heart than what your body looks like. That being said, don’t you think it would be a great bonus if the man your Thai woman loves is also in good physical condition? Do You Need Place For Fitness In Thailand To Stay In Shape? To stay in good physical condition you’re going to need a gym to attend while you live and do fitness in Thailand. In part one of this blog I began my journey to find a gym in Bangkok. My wish list for that gym was to have quality free weights, a racquet court of some kind, and a pool suitable for swimming lengths. Of course I’d like a reasonable price but I was willing to give on that for the right studio for fitness in Thailand. First I visited a western style gym here called California Wow one of the big names for fitness in Thailand. It has excellent free weights and lots of treadmills and stationary bikes and that sort of thing. They also have aerobics and yoga classes. However, there was no pool, no racquet courts of any kind, and they push you with the hard sell to sign a contract on your first visit. It definitely wasn’t my kind of place. Where Can I Look Next For Fitness In Thailand? Now, in this second blog, I’m going to follow a lead some friends gave me. They said many of the big hotels have excellent work-out facilities and offer memberships to work out there. It turns out they were right. 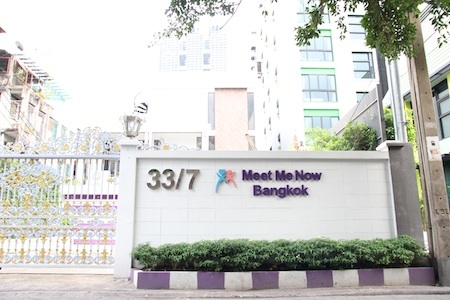 I visited three top of the line hotels in downtown Bangkok which are known to have work-out facilities and all three were quite nice. What Do The Hotel Facilities Offer? All three basically offered the same thing. First of all they had brand new top quality equipment. The treadmills and other exercise equipment were abundant and readily accessible. What I liked the most about the hotels was the facilities were absolutely clean and five-star. I also liked that they weren’t over-crowded. Sure they had a steady stream of customers but you could always find an open piece of equipment when you needed it. It’s nice to work-out in a relaxed environment without the added stress of competing for equipment. What Do The Hotels Not Have? Did they have racquet courts of any kind? Unfortunately no. However, I was excited to hear they had pools! I would give in on racquet courts if the pool facilities were decent. All the pools were rooftop pools. I thought that sounded pretty cool. You could get a good work-out and a nice view. However, when I saw the pools, I realized they were unfeasible for various reasons. The first drawback was they weren’t set up for distance swimming no good to do fitness in Thailand. There were no lines on the bottom, they weren’t long enough, and there were kids of the hotel guests playing everywhere in the water. They were nice-looking pools but they were unsuitable as work-out facilities. What Was The Biggest Drawback? The biggest drawback started off as the thing I thought was the coolest. Roof top pools. It sounds like a great idea until you realize they have no cover. A pool for fitness in Thailand without a cover is useless as a workout facility in the day time. The hot Thai sun will beat down on it all day and make it extremely uncomfortable for it’s patrons. Not to mention that the risk of sunburn would be present for anyone staying in the water long enough to do a distance swim. A roof top pool relegates your swim workouts to the evening. I don’t mind working out in the evening but I would like to have more flexibility in my workout schedule. The combination of no cover and inadequate pools for distance swimming meant I would have to base the merits of the hotel gyms on just their work-out rooms. Are The Hotel Facilities Suitable For Me To Do Fitness in Thailand? The rooms are nice, as I’ve said, and they’re quiet. I like them more than working out at California Wow. So how does the cost compare? I was surprised to find out the hotel gyms were expensive. I guess I should have anticipated that given they are hosted in 4 or 5 star hotels. Still, I thought that being a niche market with smaller rooms and less equipment they’d be priced less than California Wow. They were not. According to one member California Wow charges about 3000 baht to join and then 3000 baht a month for a membership. However, I saw widely varying reports of people paying much less for their memberships. The hotel prices also seemed to be in that range. I guess your membership fee is contingent on your bargaining skills. If Not The Hotels Or California Wow, Then Where? Nonetheless California Wow did not have what I was working for. If you want aerobics and yoga classes they are probably a good choice. The hotel facilities were nice but again they didn’t have everything I was looking for either. On the other hand, if you live close to them and you just need machines for your fitness, they are very nice facilities. If money is a factor you may want to look elsewhere since they charge as much or more as California Wow. My search was not yet complete. Was there a work-out facility in Bangkok which meets my requirements? Come back for my next blog post to find out. 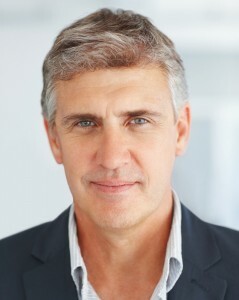 Marc Lewis is a 50-year-old Canadian who has traveled the world extensively both on his own and leading student tours. He’s worked as a high school teacher, business executive and photojournalist. Two years ago Marc met a lovely Thai girl online and moved to Thailand. He is very fond of fitness in Thailand.